7:45 AM PT -- Looks like Tekashi will be dining at a new facility for Bird Day. TMZ broke the story, Tekashi got moved to a new center late Wednesday night for "security reasons." The most notorious prisoners behind bars this year will partake in Thanksgiving like the rest of us. 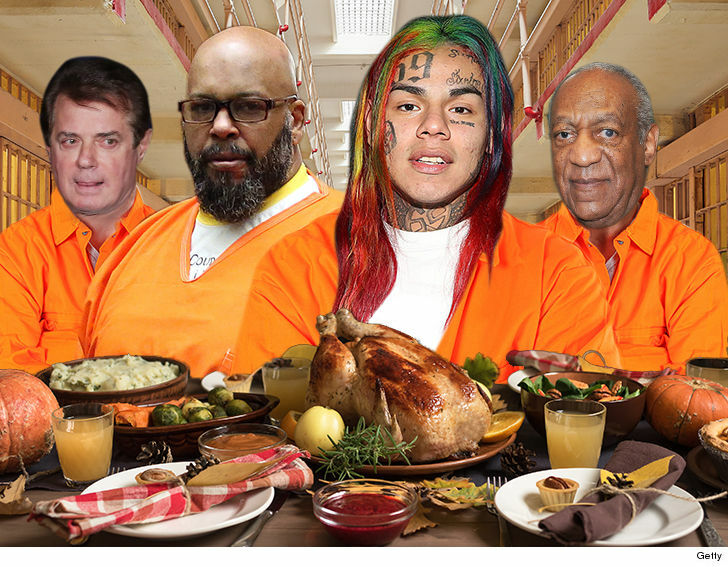 According to prison menus across the country, guys like Tekashi69, Bill Cosby, Suge Knight and Paul Manafort -- all of whom left public life in jumpsuits in 2018 for one reason or another (or several) -- are set to be served relatively modest meals Thursday, all of which include basics like turkey, stuffing, potatoes, cranberry sauce and greens. Is it just us, or is Nassar getting the bigger wishbone?